It`s important to know that, for example, the value of cards 9 and 7 dealt together have a combined value of 6 , not 16. If you are dealt a 3 and an 8, the added value is 1 and not 11. The basic rule is that you cannot get a higher value than 9 whatever combination of cards you are dealt, but you can get a combination that values exactly 9 with the first two cards and this is called a perfect hand. Another very good hand you can be dealt is an 8 which is second best to the 9 hand and these two hands are called the "natural" hands. So, how to play baccarat and understand its layout? Each number placed in front of the gamer in an outlined section that contains the layout wagers corresponds to one of the 14 players that can play Baccarat. The "Banker", the "Player" and the "Tie" are the three betting positions at the table that a player can associate with at the beginning of the game, depending on the possible choices. The payouts are direct, simple and easy to understand. If the hand you betted on is the one of a winning player you will be paid at a 1 to 1 ratio. You will also be paid at a 1 to 1 ratio if you bet on the winning hand of the house. 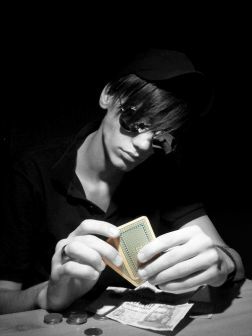 Betting on the winning hand of a Tie is much more profitable as you will be paid at a ratio of 8 to 1. The minimum bet at online games is 1 dollar and the maximum bet is usually 250 dollars, but it may vary. If you want something opposite, you can try the online keno games.